This is fabulous Sassy. I love the cool image and the colours are brilliant. I hope you have a good weekend and a fabulous week off work with plenty of rest. Wow fabolous fun boys card Sassy!! Brilliant card Sassy, I like the image the stars the paper and the ribbon. Perfect card for a teenager. 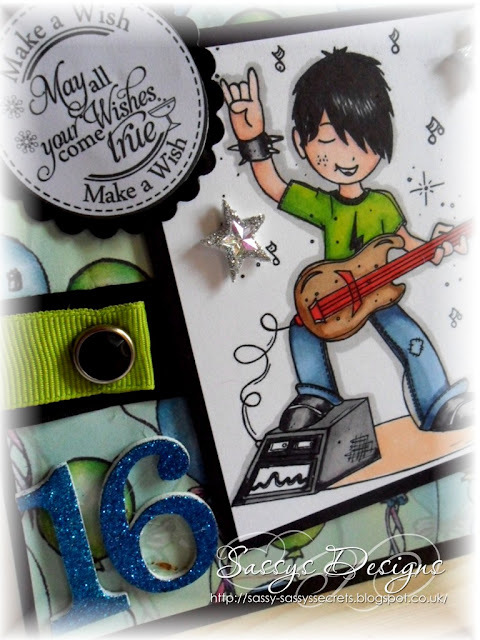 This is a fab card love the glittery numbers and always a stunning card. A fantastic card. I like the paper. Enjoy your time off. 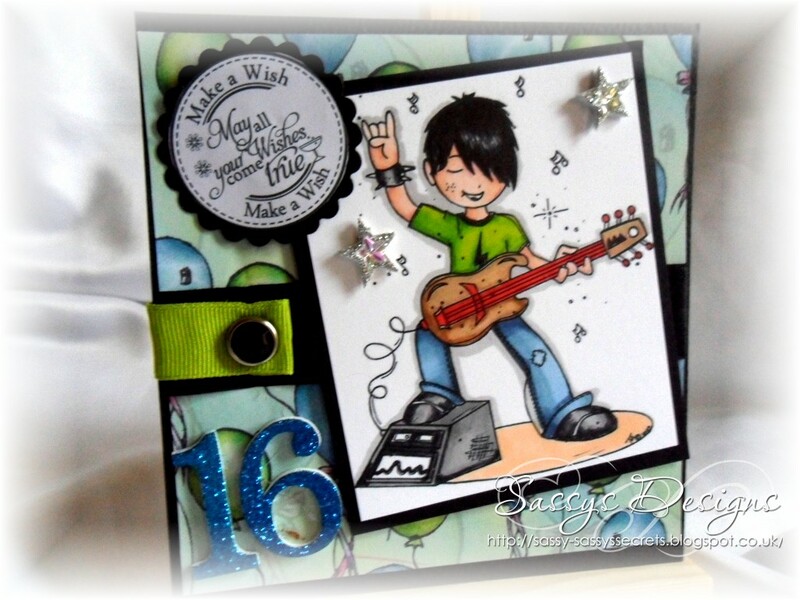 A fabulous card for a teenager, great colours and image! I find male cards really tough! Your 16 card is amazing! What a great theme. You did this challenge proud! fantastic card Sassy, love the colours!